Want our founder to come speak at your event or to your group? Fill out the form below! 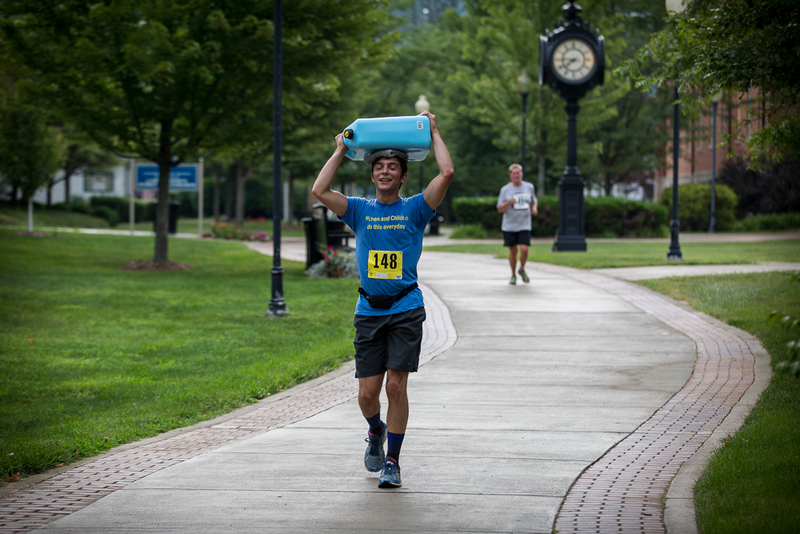 Learn how James completed a marathon a month for a year while carrying 45 lbs of water to symbolize the how much water a child carries each day. Each race had its own physical and mental journey. Races included extreme heat, midnight starts, snow, rain, and difficult elevations. On May 17, 2017, James left from New Jersey to begin a 3,250-mile walk across North America while pulling 90 lbs of water. This trip symbolized the distance a child walks in a year to get water. Stories include extreme weather, the love of humanity, dangerous animals, and new friends. There is a close link between the health and prosperity of a community and its access to clean water. Clean water helps a community grow in areas such as health, education, and equality. It is often the women's duty to retrieve water. They must walk everyday, even if they have children to take care of, are injured, or get sick. The strength of these women is incredible.